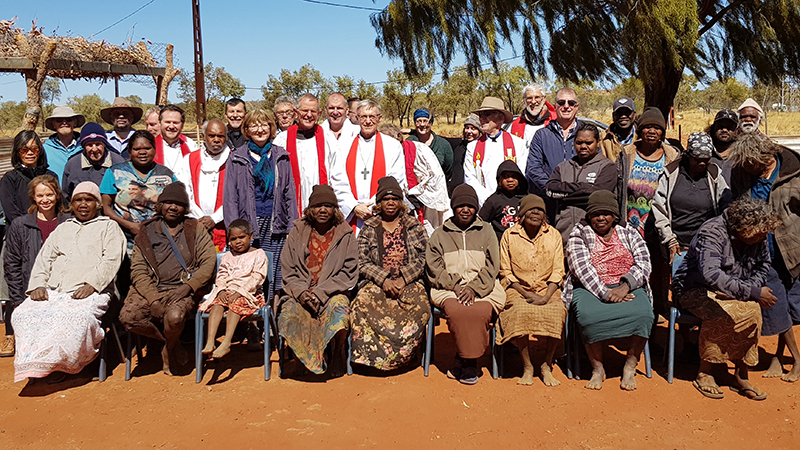 Aboriginal Lutherans will have significantly more representation in LCA decision-making forums, including conventions of synod and pastors conferences. Many Aboriginal Lutherans in Australia currently are not members of formally constituted LCA congregations. Therefore Aboriginal Lutherans to date have been significantly under-represented in LCA decision-making forums, including conventions of synod and pastors conferences. The changes will allow baptised Lutherans who gather as a body that is not formally constituted but which meets certain requirements to have the same representation and voting rights as those who are members of recognised constituted congregations. Finke River Mission Board chair Tim Stollznow spoke in favour of the motion, which was passed by more than the required two-thirds majority of delegates. The changes have their origins in guidelines on the relationship of Aboriginal pastors and Aboriginal congregations to the LCA, which were adopted by the 2000 General Convention of Synod. This was done as an interim step towards achieving a longer-term objective of Aboriginal Lutherans in the various locations where they live formally constituting themselves as congregations. This objective has not been achieved. In an effort to address this issue, the LCA’s Standing Committee on Constitutions proposed the motion to amend the membership article of the church’s constitution and complementary changes to District By-laws. The principle underpinning the proposed amendment was that the church recognised the context of Aboriginal congregations while maintaining proper process.